abarenbo shogun | JAPAN THIS! 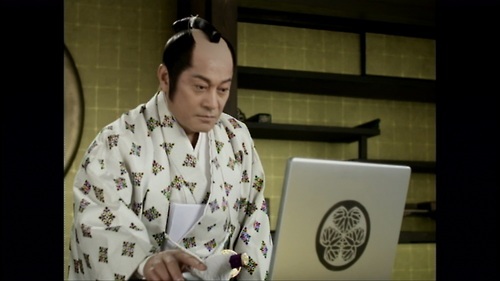 The Abarenbo Shogun himself, Mr. Tokugawa Yoshimune!!!! Writing this series just got a lot easier. I’ve mentioned before that later in the Edo Period, the shōguns were enshrined together; something called 合祀 gōshi in Japanese. We have now finally come to that moment. I’m sad to say that from here on out, there are no new mortuary temples built. I also mentioned that that for whatever reason, Kan’ei-ji has always kept the Tokugawa Shōgun family graves private. Once a year, they run a lottery for a chance to attend a special 3 day opening of the Tokugawa Shōgun Graveyard and the 葵之間 aoi no ma the room at Kan’ei-ji where the last shōgun, Tokugawa Yoshinobu, having abdicated, confined himself in an act of submission to the emperor – a kind of voluntary house arrest. So once a year, a few lucky people are allowed into the graveyard. However, photography is strictly forbidden. There are a few photos floating around the internet, but most of these are accompanied by a story of sneaking in – a risky venture in my opinion. Yoshimune is considered one of the best shōguns. He ruled for about 30 years. He was closely related to Ietsuna, Tsunayoshi, and Ienobu. Before he was installed as shōgun, he had been the daimyō of Kii. The domain was in serious financial strain when he became lord of Kii, so his reign was marked by frugality and an effort to save money. 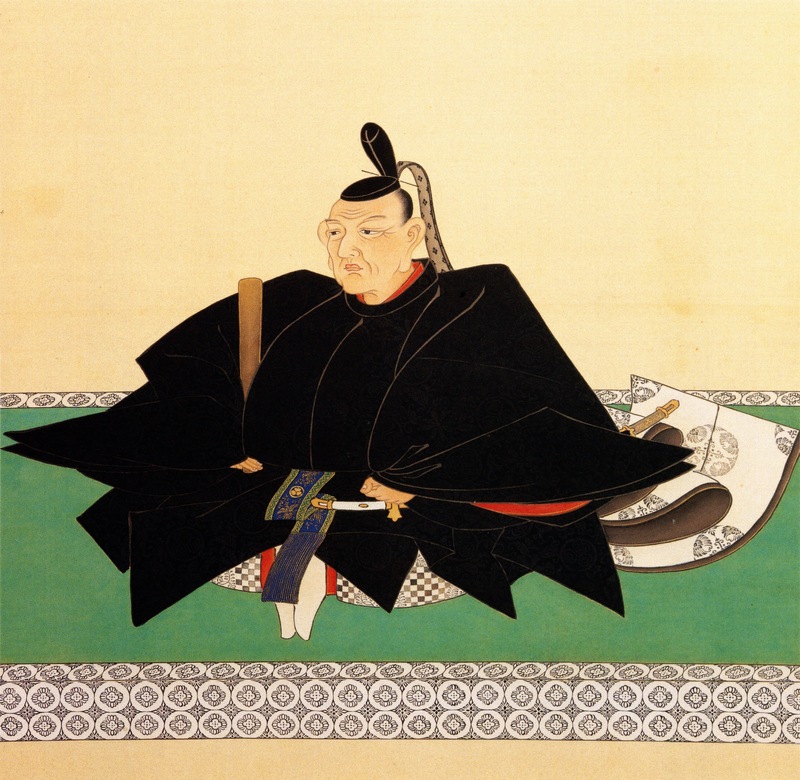 When Ietsugu died at age six – obviously without an heir – Yoshimune was installed at shōgun. He restructured the shōgunate and implemented many austerity measures. Building Ietsugu’s massive mausoleum at Zōjō-ji did not seem to be a money saving action, but hey, nobody asked me. In his will, he expressed a desire to be enshrined at Eikyūin because he respected the 5th shōgun, Tsunayoshi. He requested a simple stone monument. Because of his financial reforms or out of respect for Yoshimune, all subsequent shōguns were enshrined at existing mausolea. Click here for a description of Eikyūin. 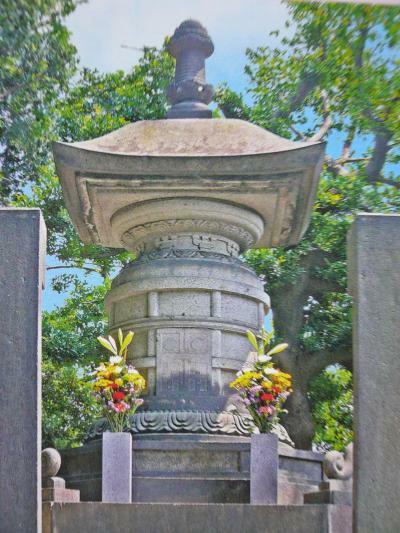 Yoshimune’s 2-story pagoda style funerary urn from an old book about Kan’ei-ji. 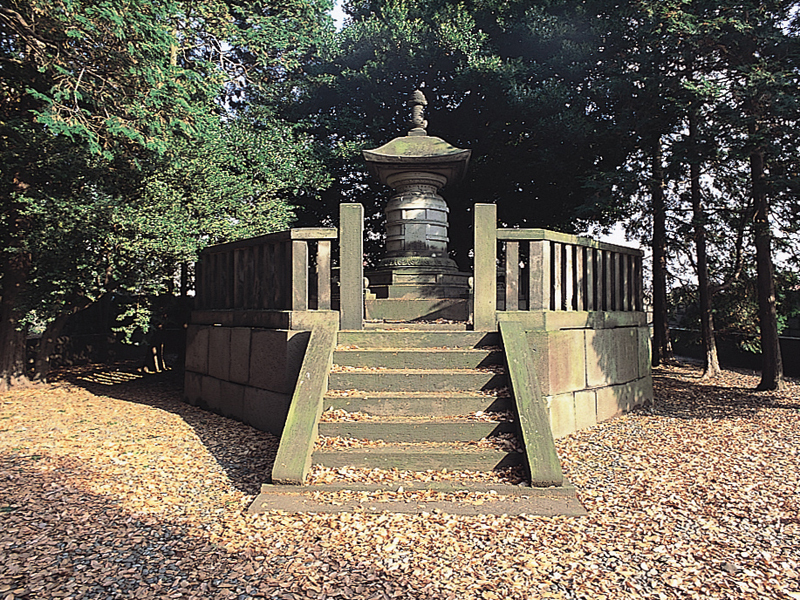 A recent pic of Yoshimune’s grave taken despite the ban on photogtaphy.